This entry was posted in Friends, Girls, Holiday, Summer Fun. Bookmark the permalink. it was a fun night! 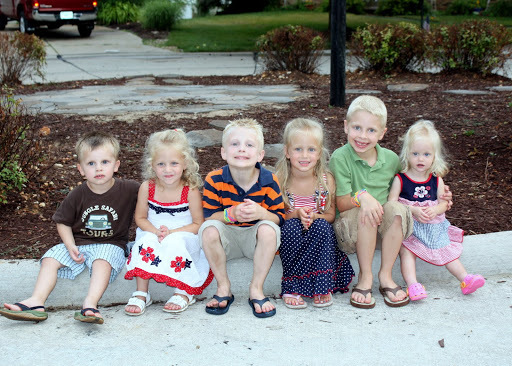 the kids all look so cute…and thankfully, they all still have their hair and eyebrows after at-home fireworks. What wonderful memories your families are making for your children. It is still amazing to me that Heather's mom and Matt's mom grew up in the same small town in Central Illinois and how God brought your families together! Who would have thought! The kids all look adorable!